Is your hospitalist group struggling to meet the new sepsis measure? Are you struggling to meet the new sepsis measure? FOR HOSPITALISTS, caring for patients with severe sepsis on the floor has always been a challenge. But now, the Centers for Medicare and Medicaid Services (CMS) has upped that ante. Last year, the agency adopted a bundle of sepsis interventions as a core measure in its inpatient quality reporting program. As a result, hospitalists say, the challenges of treating sepsis have become much tougher. Why? According to Trina Dorrah, MD, a hospitalist and regional quality director at Baylor Scott & White Medical Center-Round Rock in central Texas, a major challenge with compliance is time. Around the country, hospitalists report similar problems. 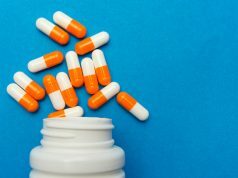 Some report trouble with specific steps in the bundle process, like ordering and administering antibiotics within three hours. Others are trying to figure out how to diagnose sepsis faster to know when to start the clock. And doctors say a big part of the compliance burden has to do with documentation, not patient care. The CMS began requiring hospitals to submit sepsis-related data in October 2015. Eventually, those data may be publicly reported and affect hospital reimbursement. The CMS bundle, which reflects Surviving Sepsis Campaign recommendations, requires hospitals to complete several interventions within three hours of a patient presenting with sepsis, then several more within six hours. (See “What’s in the CMS sepsis bundle?”) To get credit for meeting the measure, hospitals must achieve 100% compliance with all bundle elements, an “all-or-nothing” requirement that many hospitals struggle with. According to Dr. Odden, there are many reasons behind poor compliance. “Some of it is fear, some is reluctance, some is knowledge and some is structural. 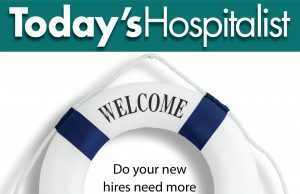 Ignoring any piece of that oversimplifies the challenges of delivering sepsis care.” That’s particularly the case on medical and surgical floors where, unlike in the ICU or emergency department, providers don’t have low patient-to-provider ratios that make it easier to meet time-sensitive requirements. 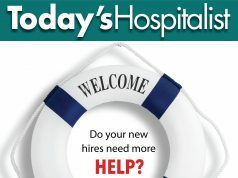 Even hospitals that have put improving sepsis care front and center may be “functioning at only the 40%-50% level” in terms of meeting the CMS measure, says R. Phillip Dellinger, MD, a pulmonology/critical care physician who is chief and chair of medicine at Cooper Medical School of Rowan University in Camden, N.J. A national expert on sepsis, Dr. Dellinger was lead author of the Surviving Sepsis Campaign’s 2012 guidelines. Unfortunately, he points out, hospitals that have significantly improved their guideline-congruent care may still look bad because of the all-or-nothing scoring. For Aroop Pal, MD, a hospitalist at the University of Kansas Medical Center and a member of a Surviving Sepsis Campaign collaborative, a major barrier to compliance is an elemental one: how hard it is to determine when patients have severe sepsis. That’s particularly challenging with hospitalized patients with chronic diseases—when it may not be clear whether acute end-organ damage may be present. According to Muhammad Mullick, MD, hospitalist program director for the Apogee Physicians group at RWJ Barnabas Health’s Newark Beth Israel Medical Center in Newark, N.J., having to respond to rapid response-type Code SMART (Sepsis Management Alert Response Team) calls, deliver all the bundle elements and then document them properly in the required amount of time takes continuous re-education, reminders and careful attention to detail. As far as Dr. Mullick is concerned, “Without hospitalists, compliance rates would be worse.” He can’t help but notice that his Code SMART calls— “maybe two or three a week”—are for patients of primary care physicians who aren’t in the hospital and can’t come close to providing rapid-fire care. But even the most efficient hospitalists face compliance barriers. At the University of Kansas Medical Center, for instance, 60% of sepsis patients come through the ED, while 15% are transferred in from other places and 25% occur in the hospital, either post-operatively or on the floor. That breakdown is part of what makes compliance so difficult. In any given week that he works the hospitalist service, Dr. Odden in St. Louis may see no sepsis or severe sepsis cases, or he may see five or six. Hospitals investing resources in improving sepsis care have focused on several areas. Those include educating providers, nurses as much as doctors; reworking EHRs to include bundle-compliant order sets, progress note templates, countdown clocks, flow sheets, best practice alerts and early warning systems; launching sepsis rapid response teams; creating nurse-driven regular screening programs; and giving nurses protocols that allow them to order blood cultures or lactates, even before doctors intervene. Some clinicians also either disagree with or are leery of some bundle elements, such as the call for large fluid boluses for nearly all patients with severe sepsis, even those with heart failure or end-stage renal disease. And even when people stay current, they may not be able to meet the measure, given the complicated institutions they work in. Steven Q. Simpson, MD, a pulmonology/critical care physician who is the head of the medical ICU at the University of Kansas Medical Center and a leading sepsis expert, says that the antibiotics component of the bundle has turned out to be a “sticking point” at his hospital. “Our average antibiotics time was four hours the last time we looked,” Dr. Simpson says. That’s due to delays in recognizing sepsis, in ordering tests and drugs, in pharmacy procedures, in transporting the medications from the pharmacy to the floor, in nurses realizing the meds are available, and, finally, in nurses administering the dose to the patient. Hospitals hit similar snags with other bundle items, including rechecking lactates and obtaining blood cultures. As Dr. Dorrah notes, fluid management is one component that is difficult for hospitals to meet. In her health system, a system-wide multidisciplinary “SepsisPalooza” brought participants together for a day and a half last March. The problem, that initiative revealed, wasn’t that doctors weren’t ordering fluids, but that the ordered fluids did not always match Medicare’s specifications in terms of amount, speed of administration or time frame. LAC+USC Medical Center in Los Angeles studied the barriers to complying with sepsis bundle elements. While researchers hypothesized that there would be less compliance at night and on weekends, they found the exact opposite: Overall compliance suffered during the day vs. during nights and weekends (18.9% vs. 38.0%). As for why, the study noted that clinicians have fewer “distractions” at night and on weekends, allowing them to “focus on meeting the parameters necessary.” (A study abstract was presented at SHM’s 2016 annual meeting.) Interestingly, the study also found that an increased rate of bundle compliance didn’t boost patients’ rate of survival to discharge. For Dr. LaRosa in Newark, consistent bundle documentation can be frustrating. That’s because the required focused exam within six hours of the Code SMART call is highly specific as to what elements must be contained in the note—and, of course, in the patient evaluation—to meet the standard. At Baylor Scott & White in Round Rock, this year’s SepsisPalooza led to the formation of various workgroups to address specific bundle items. Dr. Dorrah is co-chair of the sepsis floor workgroup, which was charged with crafting one process that all seven hospitals in her system can follow to treat patients who develop sepsis on the floor. Rolled out this fall, the initiative includes a combination of nursing and provider education, nursing protocols, alerts in the Epic EHR and standard template documentation. She notes that the development of pop-up Epic alerts—letting providers know when patients meet criteria for sepsis or severe sepsis—has been particularly helpful; clinicians can then open the sepsis order set directly from the pop-up alert. The order sets, says Dr. Dorrah, will go a long way to help meet sepsis bundle requirements. Venkataraman Palabindala, MD, lead hospitalist at the University of Mississippi Medical Center in Jackson, Miss., says his first priority right now is to hire more hospitalists. When he’s fully staffed, he wants to consider implementing some of the innovations put in place at his former hospital in Dothan, Ala., that improved sepsis care and bundle compliance. The champion also, he adds, helped colleagues earn their potential bonus. That’s because the group decided to tie a portion of the hospitalists’ individual incentive to their success in meeting the measure. Part of Dr. Simpson’s solution is outreach throughout Kansas, educating clinicians in hospitals state-wide about sepsis to help them get a jump on the diagnosis. His own medical center has eliminated that string of delays on the floor. “The mantra is that we screen every patient every shift every day,” Dr. Simpson says, a practice that Dr. Dorrah’s hospital has adopted as well. Nurses answer three questions: Does the patient have a new or worsening infection, does the patient meet at least two SIRS criteria, and is there evidence of organ dysfunction? COMPLICATING MATTERS for hospitalists trying to deliver the new sepsis treatment bundle is the fact that groups of sepsis experts are publicly fighting over how to define sepsis. In its Feb. 23, 2016, issue, just four months after hospitals began reporting compliance with the sepsis bundle to the CMS, the Journal of the American Medical Association published an international consensus statement redefining sepsis and septic shock. The new definitions, known as Sepsis-3, concluded that the term “severe sepsis” was redundant. 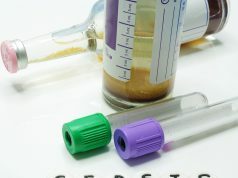 It also stated that it is better to diagnose the infection-related condition by calculating the clinical Sequential [sepsis-related] Organ Failure Assessment (SOFA) or a modified Quick SOFA score, rather than assessing systemic inflammatory response syndrome (SIRS) criteria, which physicians have used since the 1990s. In the meantime, Dr. Simpson told Today’s Hospitalist that physicians don’t need to quibble about how to define the condition—particularly if that debate “is an excuse for inertia.” Instead, hospitalists should devote themselves to meeting the CMS bundle to prove they are treating the condition aggressively. In addition, points out R. Phillip Dellinger, MD, senior critical care attending at Cooper University Health Care in Camden, N.J., Sepsis-3 is merely “proposed.” Although it’s been endorsed by many leading organizations, it “absolutely cannot be operationalized” for at least several years, he notes, while neither the CMS nor ICD-10 has adopted Sepsis-3. Trina Dorrah, MD, hospitalist and regional quality director at Baylor Scott & White Medical Center–Round Rock, Texas, says that colleagues often mention that the consensus definitions conflict with CMS’s sepsis definitions. Her response is to point out that the JAMA paper focuses on definitions and identification, not on treatment. What’s in the CMS sepsis bundle? administer 30 ml/kg crystalloid fluid for hypotension or for a lactate level of 4 mmol/L or more. Within six hours, providers need to re-measure an initially elevated lactate and apply vasopressors if warranted. And if the patient has persistent hypotension or the initial lactate was 4 or more, doctors must document—in a particular, spelled-out manner—that they reassessed volume status and tissue perfusion through a focused exam that includes vitals, a cardiopulmonary exam, an evaluation of capillary refill and peripheral pulse, and a skin exam. And as part of that reassessment, they need to include two of the following: central venous pressure measurement, central venous oxygen saturation, bedside cardiovascular ultrasound, and a passive leg raise or fluid challenge exam.